The last post i wrote is indeed a telepathic one. India's Bravest Man has started his journey to the office of PM. This journey will be a great time for India. Being Indian nationals it is our duty to support him in every possible way. No matter what the obstacle Alphons has proved - they can be overcome. Land Revenue Commissioner K. J. Alphons Kannanthanam resigned from the Indian Administrative Service on Thursday to contest for a seat in the Assembly. He has been sounded for contest from the Kanjirappally constituency as a Left Democratic Front candidate. Mr. Kannanthanam, who belongs to the 1979 batch of IAS offices in the Kerala cadre, submitted his resignation to Chief Secretary in the morning after informing Chief Minister of his decision. ``I am a people's man who worked for the benefit of the citizen. The citizen is most important for me. ``Everything in my official life revolved around the citizen. In future also, it will continue to revolve round the citizen,'' he said in reference to his decision to enter politics. 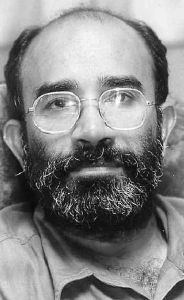 Alphons has achieved a great sucess by bold positions he had taken on various issues. Mr. Kannanthanam Alphons was also behind several campaigns for public causes. He was in the Time magazine's list of 100 young global leaders for the new Millennium in 1994. Kottayam district achieved a quality health index better than that of the U.S. when he was Collector there. During his tenure, Kottayam become the first 100 per cent literate town in the country. He led the demolition of 14,310 unauthorised buildings in New Delhi as the Commissioner of the Delhi Development Authority. He started a non-governmental organisation, Janashakti, to crusade against corruption at all levels. Janashakthi has been running a project from 1994 in Nanglamachi, one of the biggest slums in Delhi. His autobiography, `Making a Difference,' is a best seller.